Former Liverpool and England international, Jamie Carragher, 40, has been in the news lately for the wrong reason there is - spitting at a Manchester United fan and his family after Manchester United defeated Liverpool 2-1 on Saturday. The suspended Sky Sport pundit has used all media within his reach to apologize to the fan and his family for his shameful behaviour and his level of remorse has earned him sympathy from his victims who are now asking Sky Sports to consider not sacking the ex-Liverpool defender. "We don’t want him to lose his job. It is not about that. We wanted an apology and ­explanation." "He seems contrite. Everyone makes mistakes, we are all human." "He did seem extremely sorry." - His wife added. 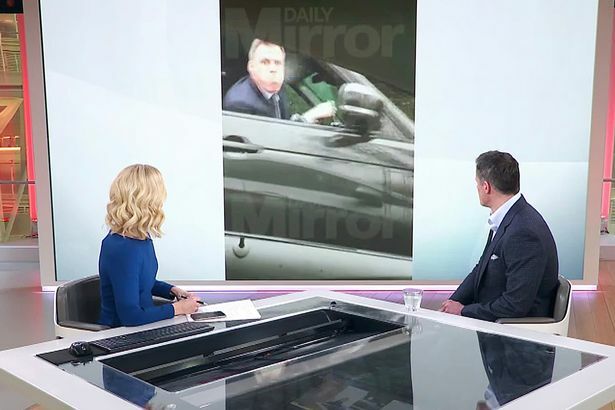 Carragher has condemned his behaviour even on Sky News while making an appearance following the incident. "I have no excuse and it is ­devastating for the family involved and my own family, but it is my actions which have brought that on." "You can’t condone that behaviour. No matter what the circumstances, you cannot ever behave like that, it is just unacceptable." "There is no doubt what I have done is disgusting. I apologise for it." "Watching those clips back it feels like an out-of-body thing, that moment of madness for four or five seconds." "A poor message. It is the lowest of the low." "It is not my decision. I am speaking to people at Sky." "They are very ­disappointed. What I would hope is five seconds of madness would not take over everything." Gary Neville also pleaded with bosses to keep Carragher on the job, despite owning he “overstepped the mark”. "In my humble opinion this isolated incident shouldn’t stop us working together." But not all are willing to let him off the hook - suggesting different treatments to be meted out to the sorry man. "How has the lad not driven after Jamie, rammed him, dragged him out and beat seven... you know what I mean." "There is no sitting on the fence, Jamie is down the road, down the job centre."